Just traded in my TM RSi 1…. For a set of these !!! Love them! you should say the shaft model and flex. Rick – can you put them in the hands of a higher handicapper, say 24,25 to give some feedback? Love Rob to answer previous questios on what shafts and flex he uses? I've gamed these for about 3 weeks. Went with the PX graphite LZ. I've played all the Callaway Apex since they came out including the BLACK. I get the same distance as the Apex but much more stopping power. That was my problem with the Apex. Long but too much release. Hot Metals launch higher and spin more. Better descent angle. Holding more greens.Highly recommend these. Even through they are not forged, they have a nice soft feel. Hit them, you'll love them!! Great job Mizuno. chromoly is a strong metal that is light. This metal has been used in racing bicycles since the 70's. Racers were looking for a stronger than steel metal that was very light. Like most golfers, I am looking for a more distance, with better dispersion. Not always an easy combination to find. I have always played with steel shafts and this weekend tried these clubs with XP 95 shafts, looking for more distance and height as well. After trying a number of shafts I tried the graphite shafts and obtained distance through faster swing speed and the dispersion was very good, with height. Does Rob ever try graphite shafts in his iron testing? Thanks for the great reviews. Hi Rick the metallurgy is pretty cool as CromMoly is a hybrid metal that is Chromium and Molybdenum. Now these are basically two metals that are very very strong when combined and allow the face to be super thin but strong at the same time and it also has a soft feel to it, not as soft as forged irons but pretty close. 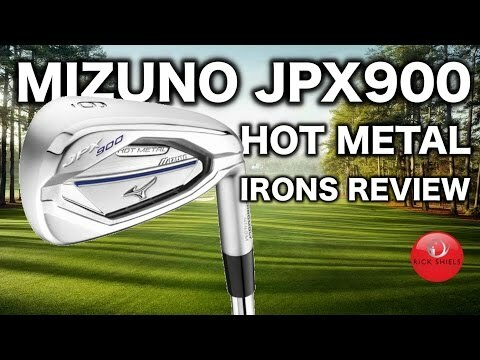 Wow those hotmetal irons look awesome! 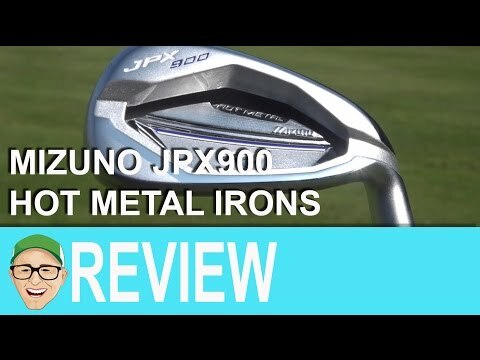 The Mizuno JPX Hot Metal looks a great club, which I will try out in the near future. 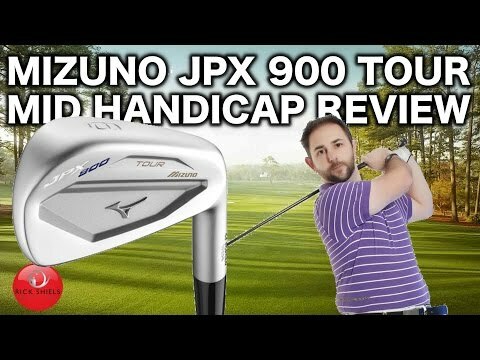 I wonder how it compares to the Callaway Apex Iron? Already commented on how much I love these clubs and were encouraged by your reviews. I will get fit for these soon :-)was wondering what to do about the hot metal wedges. They are more like my rotex 2 cbs which I have in Sand and lob. My old jpx ez s (orange) have a gap wedge which is has the same forgiving tech as the rest of the set. So I'm unsure as to what to do about replacing the gap. 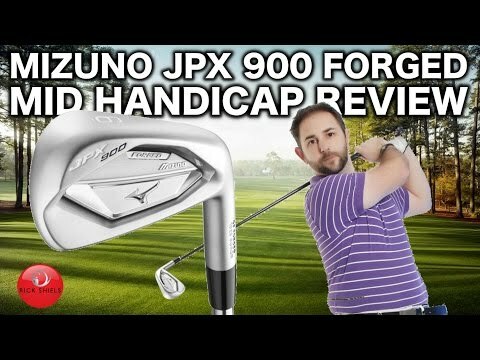 Do I go for jpx hot metal gap wedge or buy another cb cleveland. There does not seem to be much difference in regards to tech. Would you agree? Have you tried the jpx wedges. I can't seem to find them anywhere. Hey rick, how about an evolution of irons test, apples to apples?! Same brand, same, place in the brand lineup (SGI, GI, players, etc.) Take a taylormade burner 09 and compare to the current comparable club like Taylormade RSI 1 or 2 whichever is considered the GI club, to see how the evolution has either helped the mid handicapper, or done nothing at all over X years. Rob seems to be very consistent for a 13hcap. is it short game issues that's stalling him getting lower?